I want to share with you a powerful, life-changing training & certificate program that will help you identify your clients’ Attachment style and challenges. You will contribute to the creation of a thriving online community of practitioners who are sharing their experiences and insights as they explore Attachment in their practices. We all want to be of highest service…and as therapists we are most successful when we can understand what is going on inside our clients so that we can help them. When you can identify the dominant Attachment patterns and feel rooted in knowledge about each adaptation, you're empowered to act and make the right interventions. In the upcoming course you will learn the exact language for each Attachment adaptation and the specific Corrective Experiences to quickly heal early wounds. You'll also learn specific techniques for how to model and reinforce Secure Attachment within yourself. As you nurture your own Attachment system, you will develop trust and enhance connection in all your relationships. You know that you and your clients put forward the best intentions to be an ideal partner. However, early biological wiring often fuels automatic responses that create intense conflict and pain with the ones we love most. Helping your clients heal childhood attachment wounds is ESSENTIAL for them to enjoy fulfilling relationships as adults. The key for you as a therapist is to learn the Language of Attachment so you can create breakthrough experiences for them. 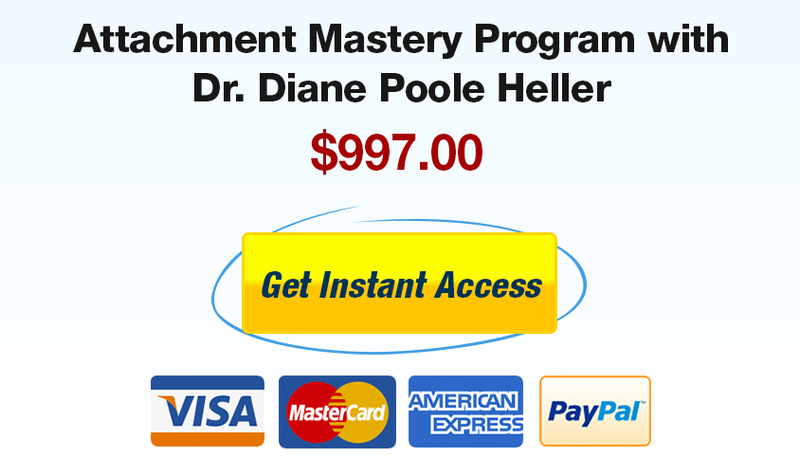 You will learn how to enable anyone to experience meaningful and fulfilling relationships in every area of their life by building bridges back to Secure Attachment. The majority of people did not experience Secure Attachment in their early childhood, and yet it is everyone’s innate capacity as well as a learnable skill. You'll learn how to model it for your clients and teach them how to bring it forth in their life. Nurturing the Attachment system helps us in ALL AREAS of our life: parenting, personal relationships, coaching, and even in business. By helping others return to Secure Attachment, your work will create ripples out into the world. As part of the program, you will be listening to experts from various fields such as neurobiology, neuroscience, as well as relationship and parenting work. This will help “connect the dots” of the many specialties that are part of this multidimensional landscape of learning models. This work continues to expand, so it is important to achieving mastery to keep adding on to what you already know. This program includes online video training and five weekly webinars. We will be going through case studies and working together to expand our knowledge and professional skills. As a member of the program, you can download and keep all this material forever. I look forward to sharing and being with you during the program and beyond. I hope you join us and I thank you for being part of this growing community. P.S. We're going to start the program very soon after we open enrollment, so I encourage you to get on board while it is open and spaces are available. P.P.S. On this page are all the details, and at the bottom I have included special bonuses. Enrollment is Open for a Limited Time. What if you could cut through all the theory to quickly identify the most targeted, specific corrective experiences to help your clients heal? Imagine having the confidence and “therapeutic radar” to recognize subtle verbal and somatic clues… mastering the language that can help you bring your clients back to Secure Attachment. This is the promise: by learning this work, you can help your clients move into deeper and more intimate relationships. This training program will provide a comprehensive understanding of the four Attachment Styles and protocols from the latest research, to foster healthy outcomes and real transformation in your clients’ relationships. What is even more exciting is that you can teach your clients to understand their own Attachment styles AND those of their loved ones. In doing so, you will be providing them with practical tools and a map to successfully navigate ALL of their relationships. When you understand early Attachment styles in a healthy, safe environment, the original imprints that are the foundation of the self-protective ego structure can be healed. You can then be more in contact with your intrinsic core intactness. You embody your Authentic Self and you can deeply enjoy fulfilling relationships. We will be looking at case studies and illustrating how each style impacts our clients’ adult relationships later in life. From this training, you will gain a clear understanding of practical applications of Somatic techniques and Corrective Experiences to alleviate stuck Attachment patterns. As you explore this material and your own Attachment history, you will discover how to help your clients heal this important part of our human journey. "Dr. Heller is a superb therapist and teacher. She has the ability to comprehend complex psychology ideas, see underlying patterns and deep implications, and then organize the information in an easily understood, warm-hearted way. 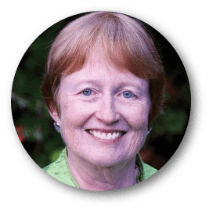 I highly recommend her as a veritable fountain of knowledge in the fields of trauma resolution, attachment re-patterning and body-centered psychotherapy." You will gain instant access to the first module, which contains downloadable videos in the program. For the first four weeks, we will focus on the four Attachment Styles. In the fifth week, we will turn our attention to special issues related to working with Attachment Styles and Trauma. Each week, along with the training videos, you will get transcripts as well because we know many people prefer not only to watch material, but also to have the written copy. You can download the transcripts and use them for reference and note-taking. For each of the five weeks we will be on calls together and we will review the week’s teachings. At the end of the calls, there will be time for questions and answers. Just in case you cannot make any of the live calls, they will always be recorded and posted to the private member area within 48 hours. I am thrilled that we have the opportunity to create an online community of people using this work. This will be a place for discussion, sharing and support. For those interested in CEs, there will a nominal $99 charge to offset new processing fees from our provider. Click here for full CE information. A Certificate of Completion is available to all participants at the end of the course upon request at no charge. Learning new knowledge is good thing - however I want to help you put this to use in your practice. 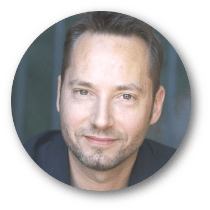 I have worked with many therapists and I am going to give you the exact tools I use so that you can seamlessly integrate this work with your clients. 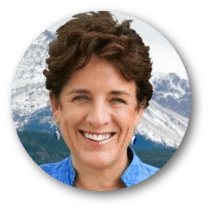 In this special bonus training I'm going to help you integrate the Somatic Attachment approach you have been studying and learning so you can apply it directly to your client practice. This is where you go from theory to transformation. This bonus includes 2 Attachment Style Questionnaires, short and long-form, as well as private access to an online survey to help you quickly evaluate your client's relationship orientation. These surveys have been developed and refined over a period of 20 years and are a tremendous tool and asset for your practice. This is a short but powerful guidebook on the specific language and corrective actions you can take to work with each of the attachment styles. The PDF contains 95 specific phrases that you can practice and use with your clients. As a special bonus you'll also get access to a library of our best talks and interviews with many of the leaders in our field. 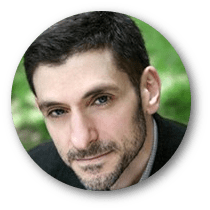 Author of Your Brain on Love, Wired for Love and Love and War, is a clinician, researcher, teacher, and developer of a Psychobiological Approach to Couple Therapy® (PACT). 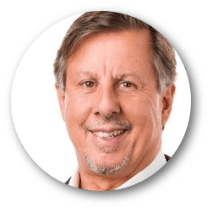 A board-certified neurologist with forty years of clinical experience, twenty of those as Medical Director of Rehabilitation Services at the Mapleton Center in Boulder, CO where he treated over 5,000 whiplash victims. Acclaimed author of Attachment in Psychotherapy and co-author of Mapping the Terrain of the Heart: Passion, Tenderness and the Capacity to Love. Explore the clinical applications of Attachment Theory, highlighting in particular the centrality of the relationship, the nonverbal dimension of experience, and the stance of the self toward experience (embedded, mindful, or mentalizing). The aim will be to help us recognize and make the best possible use of our own Attachment history and patterning as we attempt to be of help to our patients. 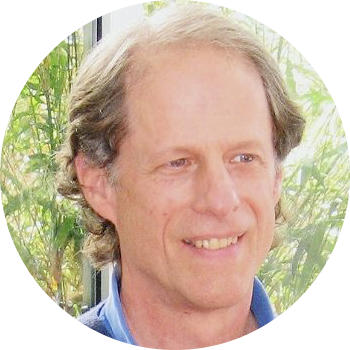 Author Dancing with Yin and Yang & co-founder of Colorado School of Energy Studies. He gives us a brilliant presentation on the 'Triune Autonomic Nervous System' to capture the main ideas of the Polyvagal Theory, based on the work of Stephen Porges, who also vetted the presentation. You will come away with a deeper understanding of the New Brain Theory and how this affects your work. Dr. Phillips is co-author of Healing the Divided Self and author of Finding the Energy to Heal and Reversing Chronic Pain. AND, her newly launched Freedom from Pain co-authored with Peter Levine. Ego-State Therapy makes use of hypnotic or suggestive techniques and somatic approaches like Somatic Experiencing to uncover and work with various aspects of the individual personality. This webinar presents ways of finding and identifying resources as well as traumatized states, connecting them with conflict-free and deep self-experiences in order to strengthen the inner family of self and improve attachment relationships beyond the self. In this workshop we focused on working with case studies and live demonstrations so that participants could fully witness the power of bringing clients back to Secure Attachment. The video recordings to this special event will be in your private membership group and you can download it to own it forever. This bonus is worth the entire price of the online program by itself. We will meet together again for additional teachings and review one month after the program to you you integrate the material. You can ask addition questions. This extra integration module will also include the MP3 and transcript, "Learning the Ulitimate Importance of Secure Attachment in Somatic Experiencing Sessions." Imagine a young boy (we’ll call him John) who one day was told that he was going to a day camp, but instead was dropped off at an orphanage. No warning was provided for this terrible abandonment. The teenage mother had been left by the boy’s father, and without financial resources, simply could not cope. John originally came to me seeking treatment for panic attacks related to a fear of flying. Unfortunately, flying was required weekly for his corporate job. By tracking his verbal and body responses, I was able to see that the “fear of flying” was really a window into a much more complex history of Disorganized Attachment. We were able to discover his fear of flying was really connected to an early childhood impulse to jump off a high-rise building when visiting his mother. By creating a safe relational field with containment in our therapy sessions, he was able to process his anger and helplessness related to his abandoning parents, he was gradually free of anxiety medication, and no longer afraid to fly. He had also developed Obsessive Compulsive Disorder – he used to tap the light switch several times before leaving a room. This disorder may have been a masked attempt to gain control from a childhood with no control. We worked on repairing trust in the therapy sessions, introducing corrective experiences, such as giving voice to his anger towards his parents, and “installing a Competent Protector,” represented by his Grandfather – who had died before he could rescue him – and kind foster parents, emphasizing their caring behaviors. He was trapped in being the “good boy,” trying not to lose again his attachment figures. Dealing with negative emotions was critical, in an environment that was accepting and containing (element of Secure Attachment). Once trust was established in the therapy session, his obsessive-compulsive behaviors disappeared. Over time, with a new foundation of Secure Attachment, he was able to repair his relationship with his wife, which was on the brink of divorce. He now gives talks to social work organizations on how to improve services and create a more securely attached environment for their young population. ✓ You will learn how, in the disorganized model, parents’ attitudes and caregiving styles are characterized by unclear, inconsistent and incoherent communication, sudden shifts of extreme states, chaotic and/or threatening behaviors. All of those behaviors are bound to create confusion and unsolvable problems in the child, disrupting the very foundation of Secure Attachment, which relies on safety and consistency. Many of our clients experience significant losses. Processing deep grief is an important part of resolving early Attachment wounding and all types of overwhelming traumatic events. We will explore how to help our clients process grief both somatically and emotionally. In my own life I've gone through extreme trauma several times and trained thousands of therapists in both Attachment and Trauma. Each interaction, each teaching and each new case study adds to my understanding. Each new piece builds on everything I have learned…AND the real magic is when we share what we learn with others. If we can share what we have learned by working with clients, then that knowledge can benefit everyone because all of life works in patterns. I believe in community we are much stronger than as individuals working alone. That is one of the major reasons WHY I created the program – to connect people around the world who are working with this powerful Attachment and Relationship Trauma approach. When we work with it and improve it and share it, we are leveraging our collective Wisdom! We are improving the world, one individual at a time… and this ripples out in waves to affects couples, families, and entire communities. Signup Today for Immediate Access to the first Module. We have put our hearts and minds into creating the best online learning program including Live Webinars, industry experts and bonuses. Try the program risk-free for 30 days and if for any reason you are not satisfied just let us know and we will happily refund you. Diane's work has enabled us to work with the tender Attachment piece, with skill, kindness, and understanding. When clients experience it, they often say something like, "This is the work I have been waiting for. No one has held it with me in quite this way." Diane has given us a beautiful way to meet it and to begin healing the deep and early patterns of our clients and of ourselves. Thank you Diane! 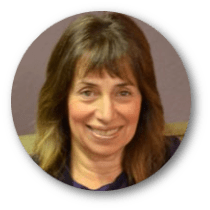 As a psychotherapist and consultant who specializes in trauma repair, I feel it would be out of integrity to continue my work without the knowledge and information I acquired from Diane. She is masterful at teaching us how to transform the lives of our clients and influence our own relationships toward more fulfillment. I see the power of this work in the changes it brings about in my clients on a daily basis and in my own relationships. Everyone interested in deeper connection and a gentle path toward healing should enroll in the Attachment Mastery Program! What I do appreciate is what you model in your wholeness of all you are in what you do – The teaching, the business of it that you have created and promote, your thoroughness with all the information you provide, the organization and of time of it all that you put in place with the support you provide, not only for all those taking the workshop but for yourself so you can do what you do best with apparent ease, and your inclusiveness of your team and all of us. I certainly also appreciate the magnitude of work done to make it all this way as well… Even the way a room was set up and where the Kleenex boxes were let alone how high the shades were on the windows in the room, the exact same fold on all the blankets and the consistency of it each day was just as important as everything else I order to her to create focus, containment and safety so we could all expand in a grounded contained way and process and become….. In many ways you have expanded that vision for me in who you are. I always have said about these modalities I study – I want to be them, not necessarily do them. You do both and that is great for me to witness. Your last line, for me, was a kernel of the whole weekend in terms of what I came to know in my body. “Own your light and don’t project it out – and that it is even harder” That in itself is being focus and expansion, grounded and manifested and a mirror for that as well. Thank you again. Thank you for a wonderful training. I learned so much and am already digesting and integrating the information you shared with us. As I had mentioned to you, I did my graduate research on Attachment and adult mother/daughter relationship (levels of self-esteem and depression) many years ago at NYU. Now after working as a clinician for over a decade and having attended the 3 days, it all makes so much more sense. I so appreciate both the theory and the practice. You demonstrated and taught us so much that will help facilitate repair and re-orientation. I highly respect your work. It obviously reflects years of clinical foundation, experience and self-healing. The Attachment wounds/repair information is truly the foundation and as you said the pay dirt of our work. Having the opportunity to watch you in the demonstrations accompanied by the biofeedback was truly astonishing. The Attachment Mastery program helped me frame therapeutic work within an individual but all the way into large systems-the organization. All the world over we are affected by our abilities and disabilities to connect. This work is how to heal and reform corrections at whatever level, within ourselves, families, and work places, so we can be our best, solo or together. This training helped me frame therapeutic work within an individual but all the way into large systems-the organization. All the world over we are affected by our abilities and disabilities to connect. This work is how to heal and reform corrections at whatever level, within ourselves, families, and work places, so we can be our best, solo or together.